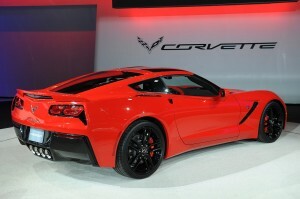 Everyone now knows that for 2014 Chevrolet totally redesigned the Corvette. The 2014 Corvette is again called “Stingray”, and is lighter, more powerful and quicker than the sixth generation (C6) Corvette it replaces. The 2014 Corvette is powered by a 6.2-liter V8 (RPO LT1) which produces 455 horsepower and 460 pound-feet of torque in the base model. An optional performance exhaust system increases the LT1’s output to 460 horsepower and 465 pound-feet of torque. For those of you that want to order a new Corvette, below is a list of all of the standard features and RPO codes that you get for the base price of $51,995.00.